Fiat’s Sergio Marchionne said he needed scale to compete, and now he’s plowing forward in China. The Fiat Group announced a 50-50 joint venture on Monday with the Guangzhou Automobile Group to make cars and engines for the Chinese market, the latest move by the Italian automaker to expand outside its home market. The companies said they would build a 173-acre plant in Changsha, in Hunan province, at a cost of more than $556 million, with production to begin by late 2011. Upon completion of the first phase of development, the venture will have the capacity to make 140,000 cars and 220,000 engines a year. The companies said capacity at the plant, which will make fuel-efficient, low-emission vehicles, could eventually be increased to 250,000 cars and 300,000 engines a year. Sergio Marchionne, Fiat’s chief executive, has described the world’s carmakers as being in a struggle for survival, with only those of sufficient scale and efficiency capable of riding out the crisis. Fiat, which had revenue last year of $83 billion, acquired a controlling 20 percent stake in Chrysler Group LLC in June to gain access to the North American market. The Guangzhou Automobile Group, a state-owned holding company, had 2008 revenue of $16 billion. The company, which has joint ventures with major partners including Honda Motor Co. and Toyota Motor Corp., said it delivered more than 530,000 cars to customers last year. 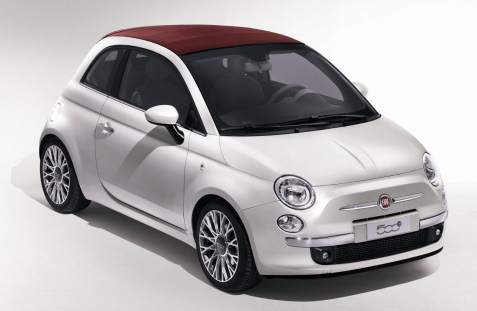 Fiat has been looking for a new Chinese partner since it terminated a venture with Nanjing Auto in late 2007. A planned joint venture with Chery Automobile, China’s largest domestic carmaker, was to start production this year, but the project was put on indefinite hold in March. Marchionne also said that Fiat is still interested in Opel as well.